The Repair Acts workshop at the Environment and Sustainability Institute in Penryn acted as a catalyst to showcase the work produced during a previous AHRC-funded project led by the University of Exeter. From 2010-12, team of three researchers (two cultural geographers and a photographer) set out to find, visit and document workplaces in the South West where people fix broken things. The project resulted in an on-line portfolio (A Celebration of Repair) and a publication (Visible Mending, Uniformbooks, 2013). 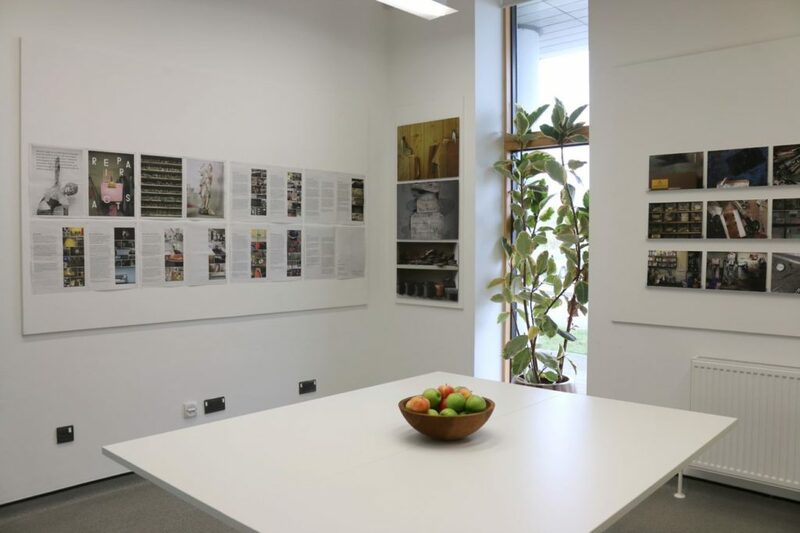 With support from the ESI Creative Exchange Programme, Steve Bond curated an exhibition of work from the earlier project, including a newspaper showcasing some of the imagery and providing an update on where the workplaces find themselves now.